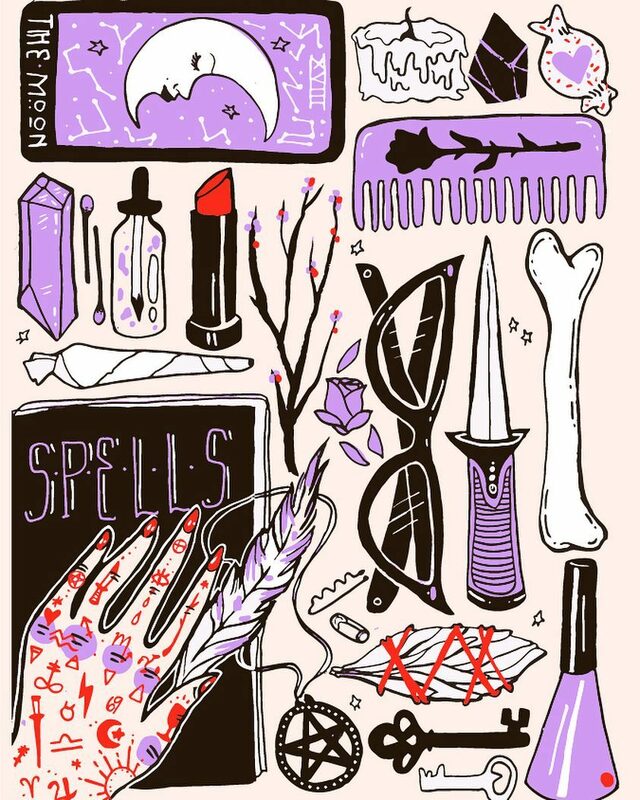 “What do you do to make yourself feel powerful?” That was the question publisher and editor Katie West asked a multitude of “witchy femmes, queer conjurers, and magical rebels” after realizing that such marginalized people were turning to ritual and magic to combat society’s ills. West is now compiling a collection of essays from these resistors, with each explaining how and why they conjure personal power. West calls her upcoming anthology Becoming Dangerous. "I loved looking at the different ways in which women and LGBTQIA people, people of color, nonbinary, and gender variant people were all summoning power in a world that prefers them powerless," West wrote on her Kickstarter page for Becoming Dangerous. "Discovering power that hasn’t been given to us begrudgingly or allocated sparingly makes us threatening. Power makes us dangerous." We recently talked to West about Becoming Dangerous and asked her why she thinks practicing rituals is so appealing to marginalized people. "It offers an outlet where we can celebrate all the parts of ourselves the dominant society sees as weaknesses — our emotional sensitivity, our non-conforming bodies, our rage — and uses those things as instruments to summon power," West told us. West explained that witchcraft specifically is appealing to the marginalized because witchcraft focuses on how the self and the earth are connected. It takes societal hierarchy out of the equation, because if we zoom out and look at what truly matters in the world, said hierarchy is meaningless in the bigger picture. …and using special rituals to prove to the world that they are human and not less than. West herself indulges in the ritual of setting up for and taking self-portraits and has done so for the past 15 years. "I know that the reason why I take photos is because it's my own personal way of surviving," she told us. "It allows me to resist the male gaze, resist societal expectations of appropriateness, resist systems of oppression that work to pit women against one another...The deliberateness of the entire process feels very ritualistic to me and always has." Ritual doesn’t necessarily have to coincide with practicing witchcraft, West points out. Any process that one puts purpose into can give one power. West said that it’s up to us to decide to make a ritual meaningful by filling it with intention and believing in a positive outcome. The Kickstarter campaign for Becoming Dangerous opened on September 20th, and so far, West has already made almost half of her goal. Once said goal is reached, Becoming Dangerous can become a reality, and we’ll be able to learn from these amazing witches, artists, and musicians how to convoke our own personal power. Head over to the Becoming Dangerous Kickstarter page to make a pledge and learn more about the project. For your donation, you’ll receive some pretty killer gifts as well as a copy of the physical book when it’s officially out. Join the movement of people “becoming dangerous” and release your inner power. As West said, we all have it in us to “survive and fight injustices,” so let’s do so together.